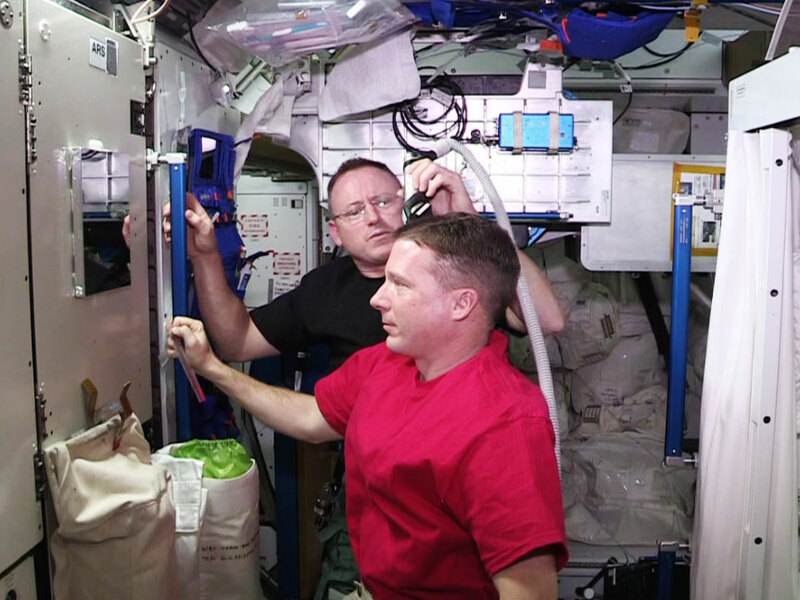 The six Expedition 42 crew members started Christmas week with a replanned schedule after SpaceX postponed its Dragon launch until Jan. 6. The crew would have been unloading new science and cargo from Dragon had it arrived Sunday but instead turned its attention to ongoing science and maintenance. Commander Barry Wilmore worked on the Binary Colloidal Alloy Test experiment that will help scientists design higher quality consumer products that will last longer. Wilmore also joined NASA astronaut Terry Virts for an interview with CBS Morning News and WBAL Radio in Baltimore, Md. Virts meanwhile continued preparing for the arrival of Dragon as he collected gear to be stowed on the commercial cargo craft for return to Earth. He also packed trash in Europe’s Automated Transfer Vehicle, which will undock in February for a fiery destruction over the Pacific Ocean. Italian astronaut Samantha Cristoforetti spent a few minutes Monday talking to Giorgio Napolitano, the president of Italy, who was addressing the nation’s military forces. Later, Samantha collected biological samples for stowage in a science freezer and worked inside the Materials Science Laboratory.